Being as it is that I was raised in a military family and that many of my connections likewise have military backgrounds, I had naturally seen the numerous posts on social media about the recent disciplinary case that Cadet Jeff Aldrin Cudia of the Philippine Military Academy had to face. Despite my military upbringing, I have always been a civilian at heart. That said, because of my upbringing, I do have a fairly good grasp of the quirks that those in uniform carry with them. This is something that I am candid enough to say is one of the reasons why I have chosen a civilian rather than a military life. I do have the highest respect for the military establishment and that is the reason why I had been a silent observer from the time the Cudia case broke into the national consciousness. The military has its ways. 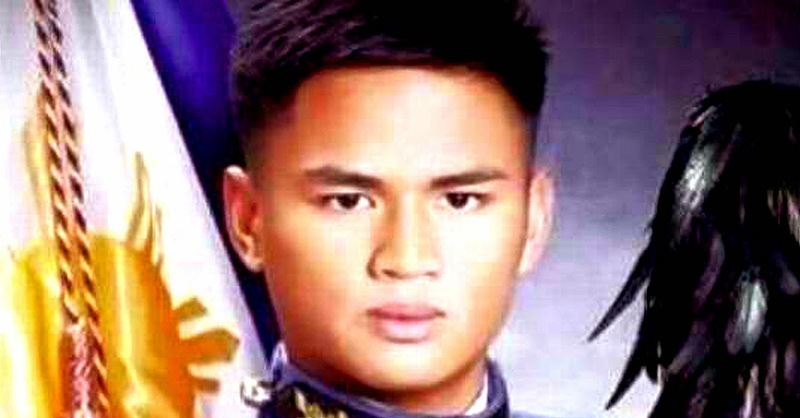 Yesterday, however, I came across an online article that insinuated that Cudia may have to pay the government back for the money it spent for his education at the PMA. Although the article was still speculative, I was nonetheless bothered enough to finally decide to air my views, for whatever they are worth, on the issue. I firmly believe, however, that God indeed works in mysterious ways. Quality, they do say, eventually shines through. Perhaps God is simply nudging this young man Cudia along a different path where his quality as a person will not only shine through but be needed more. Before proceeding, I wish to make it clear that whatever opinions that I present in this article are based solely on a narration made public online by a member of the Cudia family. I tried searching online for literature presenting the case as narrated by the PMA; but apparently the case is being treated with confidentiality by the academy. Having worked in a school for three decades – including seven years in discipline – I can respect the academy’s stance on confidentiality. Therefore, the opinions that I present in this article are based on the assumption that the Cudia family’s version is factual or close to the truth. For the benefit of those not familiar with the case, Cadet Cudia as narrated by a member of his family allegedly arrived two minutes late at a class. For doing so, he was given 11 demerits along with the additional punishment of 13 hours of marching or what in military parlance is called touring. In an attempt to appeal his case, he approached his tactical officer. The tactical officer, according to a former student of mine who studied at the PMA, is a military officer who based on his experience is often a 1st Lieutenant or a Captain and who, in most likelihood, is an alumnus of the academy himself. When the tactical officer asked why Cudia was late for class, the latter replied that the professor of the previous class had dismissed them late. This seemingly innocuous and offhanded reply would ultimately be the basis for a charge of lying against Cudia, who was brought before the academy’s Honour Committee. Exactly who made the charge, this the narration did not specify; albeit, the tactical officer was described as one who was not particularly fond of Cudia. At this point, I state my first opinion on the case by saying that the reason cited for the charge of lying was so trivial it was embarrassing. Apparently the previous class was dismissed on time; but that Cudia was made to stay behind by the previous professor because the latter had something to give him. Although the narration implied that there were others who were made to stay, unfortunately it did not specify who these were. Because only Cudia was charged, we assume that either he was alone or that those with him did not describe the reason for the tardiness the way Cudia did. What the Honour Committee found was that Cudia had lied with the way he stated the reason for his tardiness; and that what the latter should have said, instead, was that the previous professor had asked him to wait. First of all, does the academy have its own exact definition of when a class is considered dismissed? Do not dismiss this question as similarly trivial because unless the academy has, then the word will have to be interpreted from its commonly understood English meaning. Therefore, while the previous professor might have dismissed – the word used to connote ‘terminated’ – the previous class, at the same time by asking Cudia to stay s/he had not dismissed him from his/her presence. In this light, how could Cudia, therefore, have been lying? Even if, indeed, the academy’s explicit definition of dismissal is limited to a professor’s termination of a class, it will still be hard to categorically state that Cudia had lied. At most, Cudia failed to accurately describe the reason for his tardiness according to this definition, if at all it exists. To arrive at a conclusion that Cudia had lied, we in the outside world at the very least expect that the intent to do so was factually established. How in the world do you even do that? Intent to do so, if at all, obviously resides inside Cudia’s mind; and if he says that he was not lying, how do you prove otherwise? A lot we do not know about the proceedings, of course. For instance, was the previous professor even consulted? Common sense dictates that s/he was, as will only be standard operating procedure in any self-respecting college or university. If s/he was, what was his/her statement and what weight was given it? “We, the cadets, do not lie, cheat, steal, nor tolerate among us those who do so.” Make no mistake about it, the PMA Honour Code is admirable! That said, it is also frightfully limited as a beacon of light for young soldiers journeying towards a career in the military. In Cudia’s case, had he not waited despite the previous professor’s instructions so that he could be on time for the next class, this would have been terribly rude and disrespectful. Assuming that he had lied – and I am not even about to concede that he had – would the little white lie that he told have really been any worse than being disrespectful to the previous professor? We do not know, of course, if Cudia was habitually late; and even this is doubtful for a cadet who was a cinch to be class salutatorian were it not for the case. We will all struggle to find a college or university that is willing to dismiss an honour student on account of habitual tardiness, let alone a two-minute tardiness because of an apparently valid and perfectly understandable reason. The all-cadet composition of the Honour Committee does have its merits. However, the homogeneity of its composition lacks the wisdom of experience. That is why in many discipline boards in most colleges and universities, while students may be called in to provide points of view, decision making on cases similar to the Cudia case is ultimately left to management. Unless the PMA releases a definitive statement on what really happened, most of us will never really know. One rather suspects that there was more to the case than meets the eye; because on the face of it, everything appears, as Shakespeare wrote, much ado about nothing. I have the utmost respect for the academy and find it hard to believe that it will be willing to dismiss a top cadet on the basis of a charge that is hard to factually establish. That said, I worked in management for all of 28 years; and know for a fact that landmark cases provide opportunities for soul-searching and the examination of existing policies. Cudia, at this point, is naturally trying to clear his name. That is perfectly understandable. Whether he still has a career in the military even if he does so, that is another thing altogether. Online literature suggests that he faces being ostracised by his peers; as indeed the military can be a really tightly-knit fraternity. The only way to find out is to (sic) soldier on, whether in the military or elsewhere. The one great advantage to being as young as Cudia is that there are as yet no ends of the road but only detours. 2. 2 minutes late for class, PMA cadet dismissed? 5. A former student who was kind enough to answer a few questions on the PMA.